Welcome to Arthur Tham's Ally McBeal Site! Ally McBeal site of choice for APB Media Patrol (07/99), Ask Jeeves (11/98), Excite (11/98), Gist TV (4/99), GO.com (11/98), Snap (5/98), Straits Times (5/00), Web Guide Monthly (7/98), Yahoo! 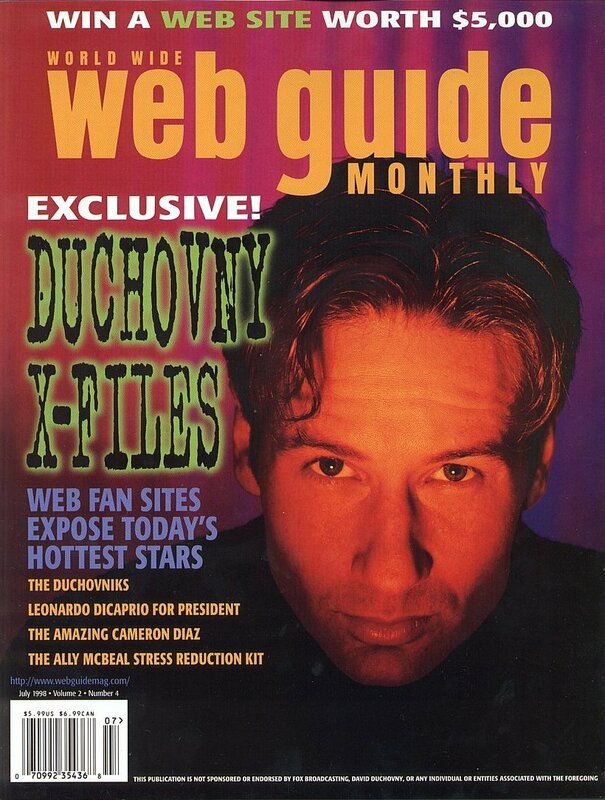 (11/99), ZDTV's Internet Tonight (3/99), and many Ally McBeal fans online. We're tempted to say that some folks have a little too much time on their hands. Here are some Web sites devoted to "Ally McBeal." Dana Hagerty, who runs this page, is one hopelessly devoted fan. She offers a newsletter. Arthur Tham offers the Ally McBeal Stress Reduction Kit. This is the Just Calista Flockhart page. HOW many sites are there devoted to Ally McBeal? Oh, only a few thousand. Life! sieves through hundreds of pictures of the lollipop-headed McBeal to arrive at the best sites. This official site by the network, Fox, is not half bad. It has the works, including the bios of the actors and episode guides, including the banned-in-Singapore Episode 2. Read about it if you cannot watch it. Arthur Tham is a rabid fan of the waif lawyer and confesses to programming two or more VCRs to record the show. This United States-based site contains news snippets of upcoming episodes, such as how Billy will exit the show and who the new hunk on the block will be. Does he have a life, we wonder? Best part of this site are the downloadable sound and video clips from the show. Golden moments that you can relive over and over again include Ling's wordless growl, guaranteed to send shivers down your spine. Download them before the network's lawyers get wind of the site and crack down. In a bizarre twist of idol-worship, fans take over the series and pen their own scripts. While few can match the wit and insight of the show's writer-producer, David E. Kelly, the weird-o-meter does go haywire in this collection of over 100 fanfic (short for fan fiction), with stories about a blue silk dress and four interns at Fish/Cage & Associates. "Another well-done tribute is Arthur Tham's fan site. His site is booming with chit-chat, multimedia, and even a literary society devoted to the thin one." "Similarly, The Essence of Ally McBeal offers more than one good download. And if all else fails, try the Ally McBeal Stress Reduction Kit which gives you a place to bang your head, à la Ally." Daniel Rees, Webmaster of Ally-McBeal.Co.Uk has chosen this site for "The Ally Award." One of the most talked about shows to come along in years, Ally McBeal weaves storylines about the love or lack of love life of its title character and her cohorts. This site, which includes a fan generated newsletter, has a very comprehensive and all-encompassing information base of all events McBeal related. The event listings include scheduled guest appearances by the members of the cast, airings of related TV shows and movies, and reports about upcoming episodes. Links at this site include one to legal sites that explain the legal lingo that is used on the series, another to the various newspaper and magazine articles about the show, and of course the hallowed site of the infamous Dancing Baby! What it's about: Flighty, skinny lawyer chick has neurotic adventures at Boston firm. Airs 9p.m. Mondays on Fox. about upcoming episodes, guest stars, music indexed by episode and a romance bookstore.Time squandered: Depends on your devotion to Ally; anywhere from a lunch hour to a lost weekend. Number of mouse clicks: Four. "I love the creativity and imagination that you have poured into your site, and it deserves an award." This is the Fox Network's official site. www.geocities.com/Hollywood/Hills/2927/ Dana Hagerty, who runs this page, is one hopelessly devoted fan. She offers a newsletter. http://dekland.tripod.com/allymcbeal/ Arthur Tham offers the Ally McBeal Stress Reduction Kit. www.geocities.com/Hollywood/Boulevard/9865/ This is the Just Calista Flockhart page. 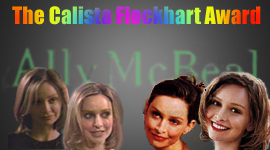 This site is the only fan site selected as one of Excite's recommended Ally McBeal sites. The review says, "Cool fan site has fan fiction, Ally Addiction Assistance, plus the Ally McBeal Stress Reduction Kit. This you have to see!" The other recommended site is Foxworld's Ally McBeal. Thanks, Excite! Whether you're an Ally McBeal fan going through hiatus withdrawals or want to jump on the Calista Flockhart bandwagon before next season kicks off, this World 1000 "Entertainment" site will get you hooked up. This site offers summaries of previous episodes, fan fiction and plenty of original content. Be sure to check out the Ally Addiction section to see how hooked you really are and the Humor section for a few good laughs. You'll also find lots of biographical information about the show, events on television and the Internet, surveys, and more. The Ally McBeal Stress Reduction Kit was mentioned on the cover. Recommended site for Snap! visitors. @Home Cool Member's Site of the Week for April 9-15, 1998. This week we chose Arthur Tham's Ally McBeal Fan Site as the Cool Member's Site of the Week. This fan site features excellent information about this award-winning TV show. Not only does the site have biographical facts on Calista Flockhart, the actress who plays Ally, but also has information on the rest of the talented cast. If you're a true fan of the show, you'll be happy to know that Arthur also includes episode guides and a humor section as well.